A contest taking place in social media can be the perfect way to increase the popularity of your website and to bring up the number of high quality links that you have. 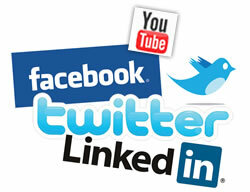 Social media provides so many marketing opportunities that it is difficult to list everything in detail. A contest may be the perfect way to increase your traffic and to get quality links to your website. Holding a fun and successful social media contest is an easy task, as long as you do your homework in advance. Getting prepared and knowing how to carry out the campaign is essential for its success. Before you plan anything else, you should have an idea about the goal of your social media campaign. Do you want to get high quality links to your website only? Are you also looking forward to increased brand recognition and a bigger loyal audience? Your goals will show you which strategy will be the most efficient. Deciding on the goals will also give you an idea about the best social network for the needs of your campaign. A video contest on YouTube may be a good option but you will probably see better results from hosting a competition on another social network. Take the time to come up with a strategy to make the entire process easier. A YouTube video contest is the perfect way to get links to your website. Still, many other options are possible. A Facebook photo contest or a game that makes people share content with their friends may be even better. It has to be catchy, it has to be fun and it needs to provide the right kind of stimulus for people to take part in the game. If it looks like a mere promotional attempt that is 100 percent product or company targeted, you will be losing some of the potential participants before the game even starts. Internet users today are very used to marketing methods and they will ignore you if you try to fool them. Here is an example of a good campaign. You can have a quiz carried out in a popular social network of your preference. Once the quiz is completed, you can provide participants with additional information for each question that is coming from your website. This strategy works because people will be learning something new and interesting. At the same time, you will be increasing brand awareness and creating high quality links to your own content. People will be stimulated to participate in your game only if you provide them with the right kind of stimulus. There needs to be an award of some kind. If you are asking people to help you, you definitely need to be giving something in return. Choose an award that is somehow connected to your business. It does not have to be something overly expensive but try to refrain from being cheap. The campaign is carried out a single time and you can afford several nice and fun gifts. While the game is taking place, you should be monitoring and analyzing results. If anything appears to be inefficient, you need to be ready to do changes on the spot. This is one of the biggest advantages of internet – you can change a campaign element, as soon as you notice that it is producing mediocre results. Create a page for each contest finalist and share the pages through social media. Mention that users can vote for their favorite entry and the entry with the most votes wins. If voting is only one of the criteria, then mention other factors that will determine the winner. Allowing voting will generate natural links to those pages on your site as participants will be spreading the link around so that they get more votes. Other sites like contest blogs will also link to your site on their own. Thanks for posting this relevant topic , it’s a great help for us who currently building social network sites. Although hosting a social network site is quite hard enough but as I’ve saw it, I think it should be much more exciting. Thanks for the help.